Citigroup Inc is planning to sell several tons of gold placed as collateral by Venezuela’s central bank on a $1.6 billion loan after the deadline for repurchasing them expired this month, Reuters reported, citing four sources with knowledge of the matter. “Maduro’s government has since 2014 used financial operations known as gold swaps to use its international reserves to gain access to cash after a slump in oil revenues left it struggling to obtain hard currency. 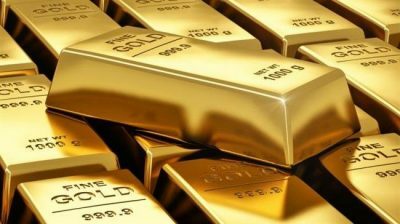 Citibank plans to sell the gold held as a guarantee – which has a market value of roughly $1.358 billion – to recover the first tranche of the loan and will deposit the excess of roughly $258 million in a bank account in New York, two of the sources said. The ability of Maduro’s government to repay the loans have been complicated by the South American country’s dire economic situation as well as financial sanctions imposed by the United States and some European nations,” the report says. Reuters also cited a supposed Venezuelan government source as saying that the country’s Central Bank did not transfer the money to Citibank this month. Neither Citigroup, nor the Venezuelan Central Bank has commented on the report yet. However, such developments as well as further economic pressure on the Maduro government are highly expected because the US-led bloc has not abandonned its plans to overthrow the Venezuelan government. Therefore, Venezuela will likely continue to loose its economic assets in the areas, which could be impacted by Washington and its allies in these regime change efforts.